Me and my sister are currently working on a parody of Hellsing. 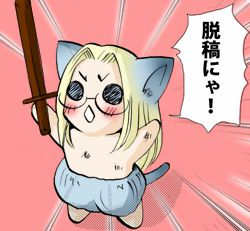 HELLSHLING kindly mocks Hellsing, it's not a satire or an anti-hellsing thing. 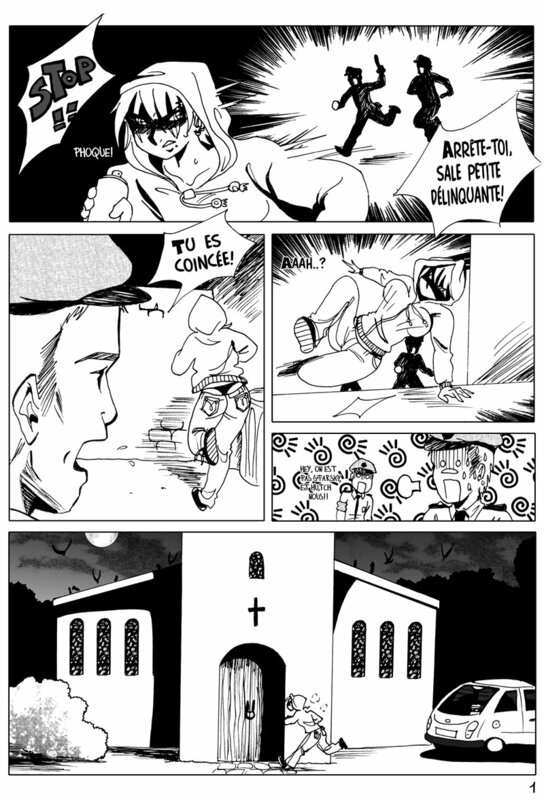 Our only aim is to rewrite the story with characters that may be a bit different, to put loads of bad puns in it (french puns unfortunately, and it will be hard to translate them, but I'll try) and to drop an anti-twilight lines every 5 pages! We try to keep Hirano's drawing style (which is easy for me with characters like Seras (renamed Sarace in here, but it's difficult to explain.... "Sa race" is what you can call a typical punk insult in french, and it sounds quite the same as Seras, so it became her name in the parody, and instead of being a policegirl, she's a delinquent), but far more difficult with male characters like Alucard or old Walter. Also, love the poop theme you guys have got going on. Thanks! It was a bit difficult to edit the design of the blog, but now I'm quite satisfied with it! I can translate the first page if you want! 2: Come over here, filthy little punk! 4: Hey, we're not supposed to be Starsky and Hutch! It's a quite clean and mastered design. Give us more ! I also took a look at your sketches... Names fit perfectly with the characters. Good work, and keep us in touch for updates ! Edit : HELLSHLING : do you pronounce it "shling" like a sword you draw ("ine") or "shlingue" like she stink ? Yeah i know the reading order may be a bit disturbing. I didn't think of it when I began, and now it's too late to change it. I guess despite reading manga I'm too used to the occidental order to draw in the japanese order. Well, obviously, the thing that bites the cop is a zombie!! hum, let's just say it went through a lot after it death. But it supposed to be a human zombie.